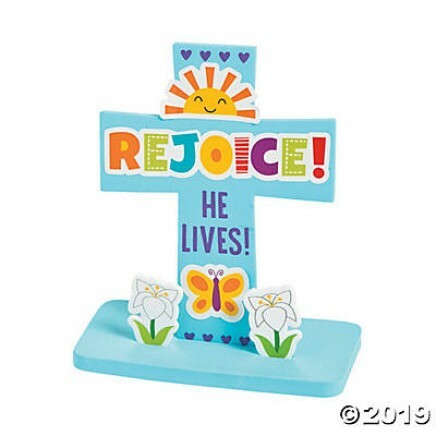 This Easter craft kit, which is perfect for Sunday School, creates a cool tabletop decoration that little believers will love assembling. • Material: Includes foam pieces and paper stickers. • Size: 6" x 3" x 7" • Makes 12. • All craft kit pieces are pre-packaged for individual use. Kits include instructions.